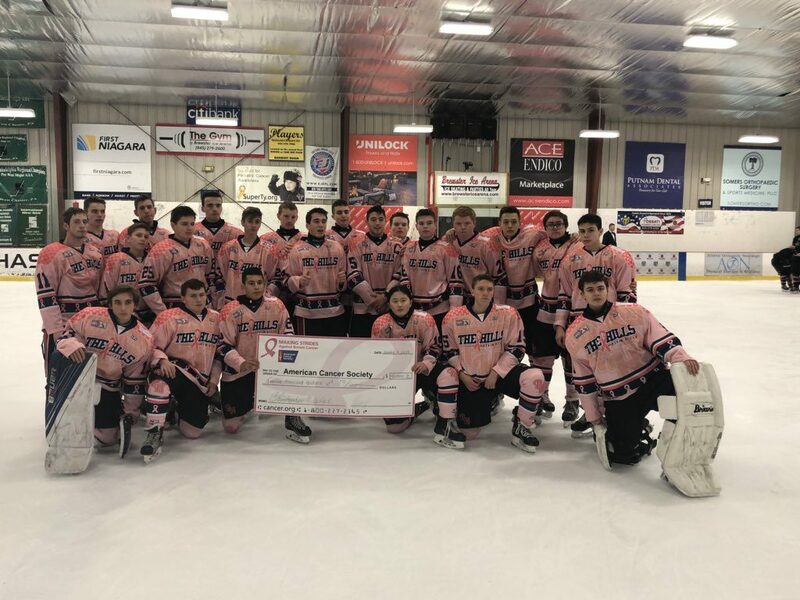 Byram Hills Ice Hockey team helped raise $13,817 for Breast cancer research! 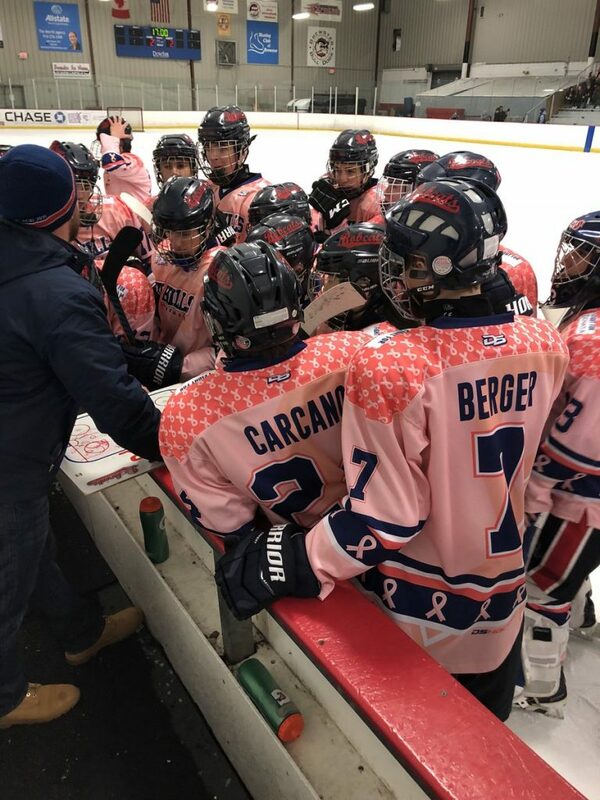 The Byram Hills Athletics Department is grateful to everyone who participated in the varsity ice hockey team’s seventh annual “Pink the Rink” game and fundraiser, which raised $13,817 for breast cancer research last week. 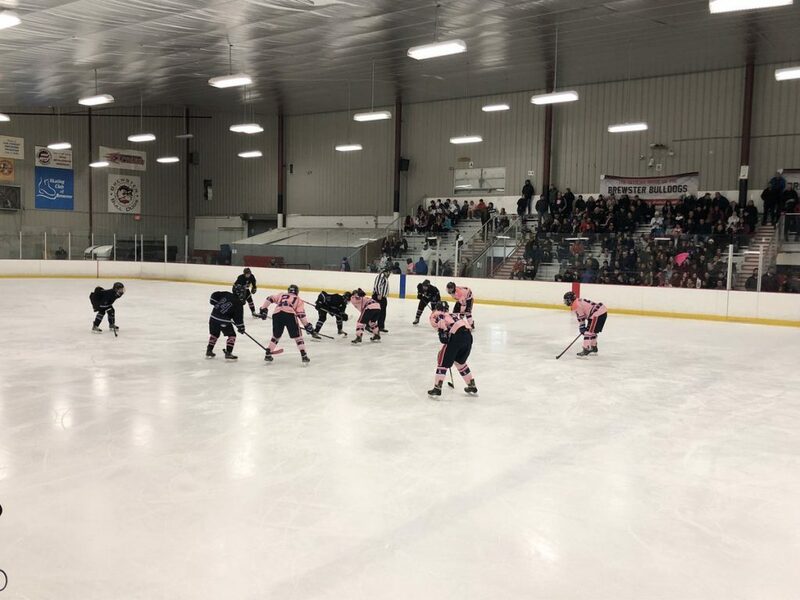 The fundraising effort included the sale of baked goods and “Pink the Rink” merchandise at school, a chuck-a-puck contest and Friday night’s game at the Brewster Ice Arena against John Jay High School of Cross River. The Byram Hills Bobcats skated in pink jerseys and socks in honor of those affected by breast cancer. 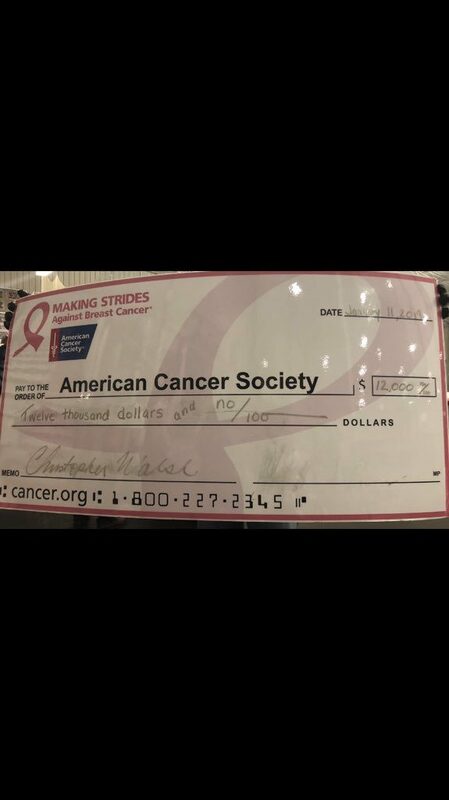 The team exceeded its fundraising goal of $12,000, and donated $13,817 to the American Cancer Society to fight breast cancer. From the head varsity ice hockey coach at Byram Hills HS. “We typically start with the website 2 weeks leading up to the Pink The Rink game. So this year the website opened right after Christmas. The website is up for the 3 weeks leading up to the game. They do bake sales and merchandise sales in the cafeteria the week leading up to the Friday night game. The boys all help by manning the stations during the lunch periods. We have pictures of this that the parents sent me. The boys forward the website around their contact lists as do the parents of players. The players write the name of a family member or friend they play for on a box located on the upper left chest of their jersey. Parents also add names of people onto a large banner on display at the game for a small donation. Chuck a puck is also an event that raises money between periods at the games.